I’ve just finished a three-week stint in my home country of ‘Murrica, where I did nothing but 1- Care for my kid, 2- Spend a lot of money on food I definitely shouldn’t have eaten, 3- Hang out with homeboys and homegirls (we’re all terrible at long distance relationships, so it’s literally Christmas in July). But in between all that, I also had the opportunity to finish The Scorch Trials by James Dashner, which sounds so much like a pseudonym it probably isn’t, and begin the horrifically titled The Death Cure. BONUS! I also got to watch The Maze Runner (the film) on my folks’ 60 inch television, and on the flight back to Korea, was delighted that I got to watch the Scorch Trials too! It was a complimentary selection, meaning that you only had to pay 1200$, sit in an uncomfortable chair for 13 hours, and be cold, sweaty and tangled up in your clothing at the same time you were watching it on a nine inch screen with absolutely pathetic quality earphones. And face constant interruption via almost-six-year-old. But anyway free! Squee! Mr. Dashner, we have a problem. Plus, the filmmakers apparently thought many of the things I did… and put in zombies. bad title, probably worse forthcoming feature film. I will recommend them and curse them for you, and add how they helped me feel better about my writing while mystifying me about what creates a New York Times Bestseller. I’ll try to refrain from spoilers, but it won’t matter much, and that’ll be interesting too. First of all, you start with the Maze Runner. 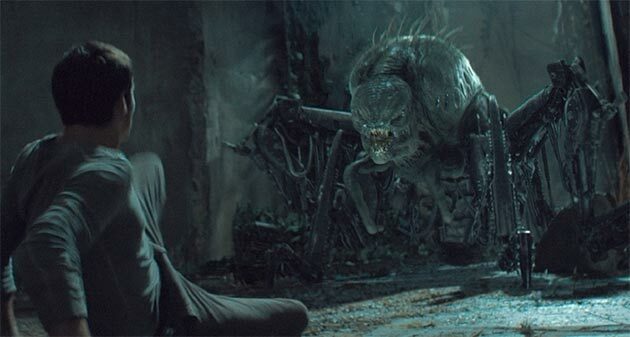 Boy wakes up with amnesia, joins pastoral farming commune of other boys his age, sees hundred foot tall walls, really wants to leave, runs maze just beyond lush and safe homestead, plays with cyborg slug monsters at night, etc etc until the end. 500 pages later I will still have no idea wtf is going on! Please just kill me! We’re tight here. I mean, it’s okay that nobody has any idea what’s going on. (Literally no idea. They just do it because the first group of kids to wake up there decided to live like farmhands instead of going Lord of the Flies). The amnesia aspect and the learning a new culture aspect are interesting, we have hints and clues that Dashner really does have a bigger world beyond the walls, and most importantly, there’s a very compelling conflict, a race-against-time kind of thing. Dashner also has a klunky set of slang, which allows him to swear (slinthead! shuck-face!) without getting his YA license revoked. I guess that’s good, though it gets old in the later books. Most importantly, you only get the feeling that Dashner doesn’t know how to give you information (at all) at around the 75% mark. And there it is: when our heroic Runner gets his weird opportunity to get some memories back, they’re so disjointed and answer so little of the reader’s questions that it’s pretty much pointless to have it there anyway. The book’s only girl has the same moronic deal going: she remembers things while in her coma, and while she can convey thoughts to our heroic Runner, she decides not to. Upon awakening, she has time enough to scribble something cryptic on her arm. And I’m already sucked in for the series. That’s the worst part. Dashner has done such a great job of getting me to care about our heroic Runner, the other Gladers, and the mysterious telepathic bond, that I will read through another three hundred pages of MORE questions without answers. That is literally all the Scorch Trials will give us: more questions without answers. -why are they called Cranks? It’s another terrible name, by the way. -what the heck is WICKED after all? -why can’t we even know Rat Face’s name? -where are they? How did they get the tattoos? -how did the bodies disappear like that? How did Teresa disappear so fast, and how did they pull the Aris switcheroo so fast? -how did the windows get bricked up so fast? There are others later: who gets telepathy and why? Why the liquid metal balls? What are they? Why do Brenda and Jorge do such an amazing job of acting, and just how long have they been on this ‘assignment’ that they have time to build a gang with connections? 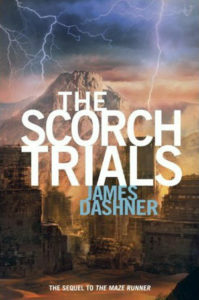 We, the readers, are expected to get lost with Thomas in The Scorch this time, but it doesn’t work. We’re too busy trying to figure out what Dashner was doing back at the initial compound scenes that most of the story is ultimately forgettable. Except when a lightning strike shears off this one kid’s leg. That’s not forgettable at all. 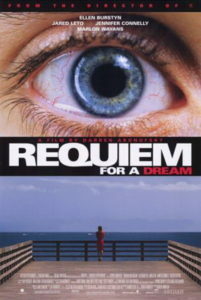 About as forgettable as this gorgeous, brilliant, complete mind-f**k of a movie. Shudder. Any spoilers you just got, by the way, don’t matter in the slightest, because by the end of the Scorch Trials you’re still no closer to understanding the plot of the book than you were before you even opened the Maze Runner wikipedia page. 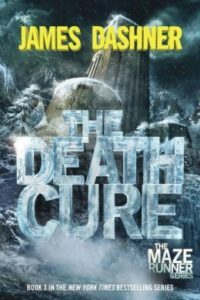 And, by the time you’re 100 pages into The Death Cure, you’ve actually gone backwards. Impossible, you think. 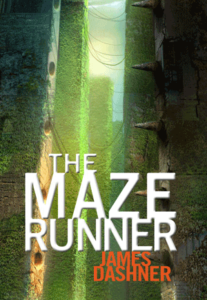 There’s no way you can be less informed than at the beginning of The Maze Runner. Not true, and here’s why: now the characters, who have so little information, are making decisions based on those decisions ‘feeling right’ or ‘feeling wrong’. They’ve been offered their memories back, but here’s a shocker: our heroic Runner refuses to get his amnesia undone! He’d rather live through infuriating the reader with a lack of knowledge than figure out if he did bad things for good reasons or not. So great news: I’ve decided that, even if I do write a book where there’s amnesia and a shadowy organization, I am going to have several key info dumps where it’s absolutely clear that the whole thing is not a dream and you need to take the red pill. Mr. Dashner, I’ve learned my lesson. The trail of breadcrumbs will lead to a house made of gingerbread, rather than another trail made of Skittles, followed by another trail of maybe chocolate bon bons, or just piles of rabbit turds. Wait, actually, I’ve done that. Here’s a series with a shadowy organization, some amnesia (kind of), and answers. The first book, Super Nobody, is free. A school district in Arizona made 1200 sixth graders read it, so it’s definitely good.